Following on from the recent Chaos Communication Congress in Germany, the well-known Team-Xecuter, who has a pedigree in Xbox and Xbox 360 security, has promised the delivery of a future-proof custom firmware offering for Nintendo’s latest hardware, the Switch. The team hasn’t released a great deal of information about the proposed solution, other than to suggest that it will work on any Nintendo Switch console regardless of the firmware that it is running, which makes this a truly future-proofed solution. This means that whatever method Team-Xecuter is using is entirely independent of the installed firmware, which, in turn, means that even future releases of the Nintendo Switch firmware won’t affect the custom firmware. The team has yet to detail its methods or how it intends to do this but the posted decrypt key for the bootloader has been tested and verified by derrekr6, the hacker who dumped the Switch kernel. This solution will work on ANY Nintendo Switch console regardless of the currently installed firmware, and will be completely future proof. This is *the* solution for opening up CFW (Custom FirmWare) on the Nintendo Switch. We want to move the community forward and provide a persistent, stable and fast method of running your own code and custom firmware patches on Nintendo’s latest flagship product. And we think we’ve succeeded! Rather than posting intricate details of the processes involved at this stage, the team has simply posted a teasing video of the Nintendo Switch bootup process which clearly shows the Team-Xecuter logo on the display before the standard boot process kicks in. 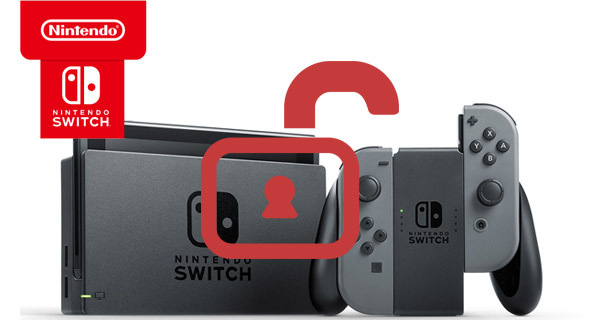 As things stand, if this solution is real, which it claims is definitely the case thanks to the release of the decrypt key, then it would open the door for custom firmware and homebrew solutions running on any Nintendo Switch running any firmware version. It seems as though additional information will be provided and released in the coming weeks, with the potential of the final solution or tool being released in Spring of this year. In other words they hacked the hardware instead of just finding a glitch in the OS. This is awesome!!! Hopefully we wind up having some sort of memory mod apps coming. Gameshark FTW!!!! Hmm. If this is true I may be convinced to buy one. Interestingly you don’t see the USB port. I’m suggesting this is a dongle DRM affair just like the initial PS3 jailbreak.
? Hmm, no thx. I’d rather wait for the Switch Homebrew Emulator. I ain’t got all that money to spend on video game systems. If you gonna go for FREE! Then you better go all out. I just need a good portable PSX emulator.